Last week, I met with the CTO and head of innovation of one of the largest electric utilities in the United States – very smart, provocative in terms of his vision for the industry yet pragmatic in what can be ‘pushed’ and ‘pulled’ given the material changes impacting his industry – ranging from new sets of technologies, ever-shifting mix of regulatory policies and the never-ending puzzle as to how to balance one’s focus as a regulated utility vs an unregulated power generator. Near the top of the list – of pressure, and, of course, whenever there is pressure, there exists opportunity – is the topic of energy sustainability. Clearly, there are many ways to skin the cat of sustainability – with, I believe, Naomi Klein’s recent book, This Changes Everything, extremely compelling and provocative in terms of the topic being both important and urgent. Our discussion focused on what we called ‘practical sustainability’ – where appropriate social focus has relevant economic return. After rounds of spirited conversation, we settled on three sets of activities necessary to make practical sustainability, well, practical. First, it requires the design and use of a new social scorecard, or in the parlance of some, a shared value framework. 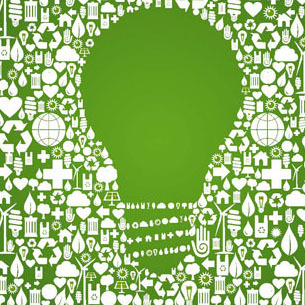 Its focus: analyze the social and economic impact of clean vs dirty energy. It’s too easy to promote the former while denigrating the value of the latter (particularly for some advocacy groups), and, conversely, far too simplistic to dismiss the former while hiding behind claims of shareholder value extolling the latter (particularly for those who fail to recognize that they may be optimized for a world that no longer exists). The reality is: both perspectives are critical – with the challenge thereby becoming how to align around appropriately different perspectives, objectives, priorities and ways of assessing ‘value’ across the vast range of vested stakeholders that make up the utility ecosystem. The ‘elephant in the room’ around sustainability involves recognizing that more of the same old, same old, no longer works and alignment around a new social scorecard that acknowledges that new ways of engaging in the market *can* – in service to creating (are you ready?) both greater societal benefit… and… economic value – hence the importance of designing, and deploying, a new social scorecard. where & how *is* value being created, and destroyed… and what new ways of engaging in the market do I need to undertake to capture it, with distinctiveness, speed and scale? This is a question of material importance. This question forces you logically to ‘change your unit of focus’ – from you, your group, your business, your organization – towards the ecosystem in which you are embedded. How could it not? Insight into where value is being created… and destroyed… requires a perspective broader than any particular organization, or stakeholders. The question of ‘value creation… and destruction…’ takes you logically to consider not only who you know are within your ambit – or system – of interactions but requires you to explore who else might be today, and tomorrow. The logic of this question further takes you down another profound path with material implications. If you change your unit of focus to the ecosystem in which you are embedded, then the next logical question becomes, ok, so, how *do* you shape the ecosystem in which you are embedded – to create both greater societal benefit and economic value? So, this question reflects the second set of activities necessary to make practical sustainability practical – namely, to take an ecosystem perspective to be able to answer the two critical questions of where and how is value being created and destroyed, and how do I (begin to) shape the ecosystem in which I am embedded to create both greater societal benefit… and… economic value. Now, we can never ‘control’ our ecosystem. We seek only insight into its dynamics and to figure out where and how to ‘perturb’ it – to engage within it in new ways – directionally towards new sources of distinctive value. Given that, we can never know for sure what will happen, but for goodness sakes, certainly need to have some capabilities to increase our visibility, and influence, into what *may* happen. Which leads to the third set of activities – namely, insight into ‘possible futures.’ We certainly cannot know what will happen in the future. We can, however, articulate what such possible futures might be. With what purpose? To identify opportunities to explore; as well as to begin to mitigate the risks of moving us towards those new opportunities. Based on what? Insight into motivations, intentions, and behaviors – across a vast array of stakeholders and actors within our ecosystem. Or, to use a phrase I enjoy, based on work done ago, to amplify the faint signals of what such possible futures are more likely to come to pass. So, to sum up, specific steps to make practical sustainability practical rest on: designing a new social scorecard, getting insight into where and how value is being created and destroyed, from an ecosystem perspective, and articulating a set of possible futures, structured around how to shape the ecosystem for greater societal benefit and economic value. Hmmm… now you can see why this was such a compelling discussion – and a needed one to ‘change the game’ on a topic as important, and urgent, as that of energy sustainability.